Sell your Plymouth in a fast and convenient way. 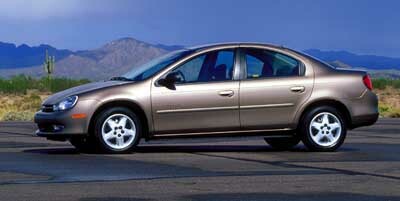 We buy any Plymouth model car with high or low mileage and in any condition. We offer a safe and fast way to sell your Plymouth. We provide first class customer service with a team of Plymouth experts to help you through the entire process. We also give immediate payment for your Plymouth at a fair market price. To receive an immediate quote and valuation simply enter your Plymouth’s details online. It can be frustrating to try and sell your Plymouth with many potential buyers wanting to test-drive your car. Sell your Plymouth to us today with no hassle or aggravation. Plymouth automobiles were a staple American vehicle from 1920 to 2000. Plymouth produced many innovative automobile designs that were inspiring to many other car manufacturers. During the 1950’s the Plymouth Station Wagon was an iconic American automobile seen with mothers driving their children around and loading the family’s groceries. The Plymouth Voyager and Grand Voyager were also popular minivans; the vehicle was produced from 1974 to 2000 with many happy owners. Plymouth also released a sports car that made heads turn, called the Plymouth Prowler. The design emulated the old hot rods that had become popular culture. The design was classic with luxurious amenities. Every Plymouth car owner is proud to be seen driving such an exceptional machine.